Entrepreneur and PR guru Sara Tye has been shortlisted for Female Entrepreneur of The Year Award in the 2017 South West Business and Community Awards. The nominations will be judged by an independent panel of influential entrepreneurs, business leaders and charity ambassadors from across the UK. These awards recognise businesses, charities and individuals that have made an outstanding contribution in the region. Sara is a mentor to many business people, providing advice, guidance and growth strategies. Some companies that have benefited from this have increased their revenue by a staggering 50%. Before founding her current ventures including redheadPR, Sara headed up communications at Yellow Pages, developed stakeholder relations in-house at Thames Water Utilities and was the personal PR agent for The Body Shop’s founder, the late Dame Anita Roddick. 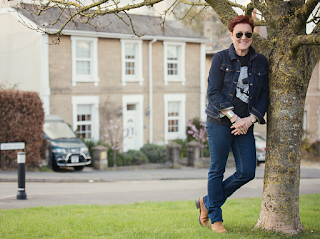 In 2008, Sara moved redheadPR to her hometown, Swindon from Covent Garden, London. redheadPR is a blue-chip public relations consultancy with a highly impressive client portfolio. Sara's other awards and accolades include reaching the finals of the first Cosmopolitan Women of the Year Awards in 1999, winning the Wiltshire Business Person of the Month Award 2015 and being shortlisted in the First Women in Media category in the First Women Awards 2016. Sara’s Make Your Mark for a Tenner campaign was commended for being one of the CIPR’s best sustainable PR programmes. A keen sports woman, Sara recently became the Chair of Swindon Triathlon Club and is the CEO of luxury cycling and skiing company. The Etape Suisse events have been attended by international athletes such as Tour de France winner Cadel Evens and cricket legend Michael Vaughan. On being nominated for the award, Sara said: "I’m absolutely honoured to receive recognition from my peers in the south west. I’m is looking forward to the ceremony, and wish all the nominees the best of luck." The winners will be announced at a evening dinner awards ceremony on 18 January 2018 at The DoubleTree by Hilton, Swindon. Serial entrepreneur and PR guru Sara Tye and redheadPR are the latest members of the Swindon and Wiltshire Initiative, a prominent local business leadership and campaign group. The Initiative, by Business West, was formed out of the long-established Great Western Enterprises, and works to connect some of the biggest employers in the Swindon and Wiltshire area with various influential decision makers at both a local and national level. Since its formation, the Swindon and Wiltshire Initiative has been furthering its social and economic objectives through engagement with these bodies. Current members include Honda, Intel, BMW, Nationwide and Zurich. Sara Tye is the founder and managing director of Redhead PR, a dynamic PR consultancy based in Swindon, as well as the CEO of luxury cycling event organisers Etape Suisse, and chair of the Swindon Triathlon Club. An expert in PR and business organisational development, and voted ‘Green PR of London’ by the Independent, Sara is a motivational speaker, coach, and serial entrepreneur who’s headed many successful commercial endeavours. Sara started her career working in faculty development for the Royal Military College of Science. Over the course of her career, she has worked with firms like BT, Yellow Pages and amassed a multimillion-pound property portfolio, opened and run several businesses, and helped run a residential care home in Swindon and hotel in St Ives, Cornwall. Her addition to the Swindon and Wiltshire Initiative comes after a recent employment report from leading job site Glassdoor, which identified 2017’s top 25 best UK towns and cities to work in, in which Swindon took 5th place. Business West, a non-profit business that employs 200 staff and has an annual turnover of £10 million, are pushing forward with plans to make Swindon and Wiltshire the best place in the UK to live and work. Since they were founded 2007, they’ve helped 21,000 businesses start up and grow, and get their voices heard in local and national government bodies. All profits are reinvested back into the organisation, and are used to further their mission. How can networking really benefit a hotel business? Firstly, hotels are perfect venues for networking, whether that’s at business meetings, conferences, parties or weddings. Face-to-face activity at your own hotel is drawing in people who may themselves choose it as the location for their own party, wedding or regular business meetings. We have a hotel client and a key objective of our work with them is to get as many businesses familiar with it so that the hotel becomes the meeting location of habit. Secondly, getting known among the general public by inviting them in for evenings to meet the hotel staff helps them understand the facilities available and the experience they’ll have. They may not venture in from an advert or social media post. And, of course, everyone wants to be friends with a great bar mixologist. It’s great to take friends to a hotel where you know the bartenders as it helps build confidence for the visitor and their guests. Lastly, it’s good for a hotel manager and staff to be out and about in the community it serves. Being seen and becoming familiar will help you become well connected. 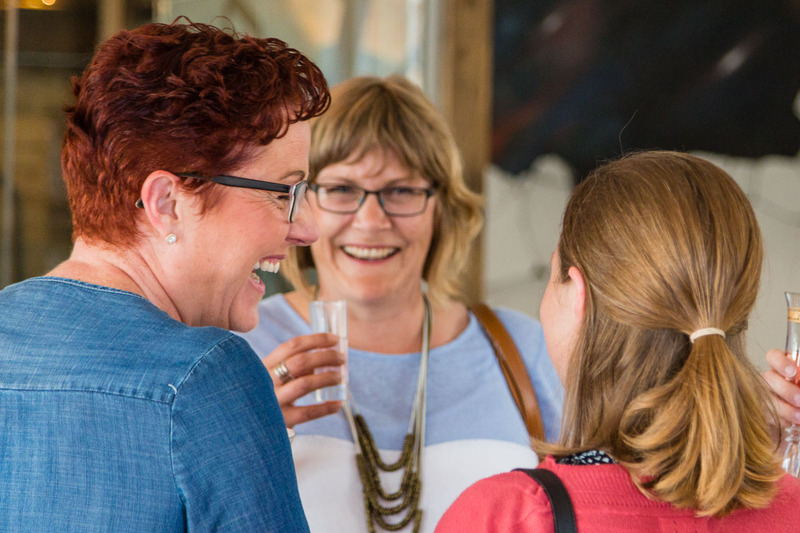 What are some of your top tips for success networking? think about your 60-second introduction and rehearse it. Then, when someone asks you what you do, you’ll have your response ready. This will give you the confidence to speak with other people. if you’ve been able to see the guest list beforehand, target key people. Even better, introduce yourself before the event. This breaks the ice in advance of your first meeting. LinkedIn and social media sites are great for this. I was building my own brand from the day I started work. What I wore, how I carried myself and how I acted were all linked to this. It was long before we had mobile phones or social media - business in those days was done via landline phones or in face-to-face meetings. Now, we do the same amount of work, but through multiple channels. I keep my photos and film footage up-to-date. I spend at least two days executing my personal brand photos, so they fit with the messages I’m conveying. I work on my social media channels extensively. It’s not a full-time job, but I’m always on. I work in the media industry, so I have to demonstrate best practice. I speak at events, write editorial for publications, network and get involved with charities. I’m chair of Swindon Triathlon Club, which is a volunteering role. This allows me to put something back into the sport I love. Sara Tye is an award winning, top 500 international PR, business and organisational development expert and serial entrepreneur. She is the founder and managing director of redheadPR and CEO of Etape Suisse. Voted ‘Green PR of London’ by the Evening Standard, Sara is a passionate and motivational speaker, writer, coach, mentor and trainer. A keen networker, Sara is a top BNI member and Director Consultant in the UK. Sara leads a team of smart, passionate people who identify opportunities and deliver return on investment for ambitious brands, individuals and organisations. Sara has over 20 years of communications expertise and was a finalist in the first Cosmopolitan Women of the Year Awards in 1999. She played a key role in the implementation of the BT’s environmental policy and the development and management of the philanthropic Best Practice process at Yellow Pages.